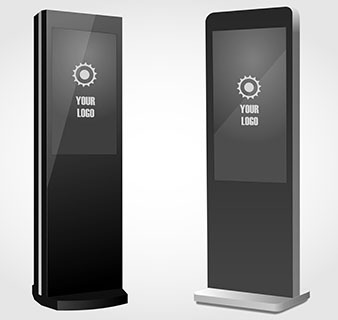 Logismos CMS Kiosk is a multilingual interactive Loyalty and Information application that delivers an easy and exciting way to improve customer service. It saves you a large amount of time & money combining host, reception, attendant and guest services functionalities, reducing queues at service desks. Its self-explanatory interface, specially designed based on ATM operation principles, minimizes the customer service cycle time. Additionally, all basic modules operation is done by tapping only on the screen, reducing time and errors. Furthermore, you won’t have to redeploy any new additional software or promotions since L-Kiosk is part of Logismos CMS and fully interacts with the existing data. The application can operate with almost any touch screen of the market of any resolution ratio (since the interface automatically resizes) along with a wide range of peripherals, including card readers, printers and more. -	ATM like, self-explanatory redemptions screen. o	Scrolling list with all items indicating points needed per item. o	Groupings per items category to easily spot the item. o	Easily adjusted item quantity indicating points needed and points remaining after redemption. o	Loyalty points balance always at the side. - System prohibits points redemption if slip is not printed. -	Save time and avoid disputes on how and when players won their loyalty points with “points history”. -	A life-to-date points redemption history list sorted by date is also available to players. -	Players can have a taste of casino amenities and hospitality and be guided through photos & maps of the facilities. Schedule ahead your tournaments and lotteries, let the players know your plans and make their own based on the thrilling expectations you can deliver. Hosts can now spend their time more efficiently into more productive tasks. Let your customers thumb through your events and shows schedule book. Inform them about the upcoming events and post photos of the artists and maybe previous events, to let them know what they missed! -	Windows 7, 8, 8.1, 10. -	Auto resize to touch screen ratio and resolution. -	Compatible to most market leading card readers & ticket printers. -	Remotely configurable and content easily managed. -	Configurable skin themes, fonts and graphics. -	Logismos CMS software suite compatible.